Acclaimed as one of the most exciting and innovative trad-folk acts playing today, Trouble in the Kitchen have earned a reputation as world class performers of traditional Irish music. With a versatile line-up fusing flute and fiddle with driving guitar and bouzouki, it's the energy of their live shows that sets Trouble apart. Now long at the forefront of Irish music in Australia, they have played the length and breadth of the country, featuring regularly at all the major folk festivals, and along the way they have built a reputation as firm crowd favourites. Away from the stage, the band has featured in a number of television and film projects. After a decade playing, touring and recording together Trouble’s sound continues to develop. They have succeeded in beautifully weaving together classic Irish traditional music with original material and a strong dose of music from the Australian-Irish tradition, and in doing so their sound has developed a distinctive, innovative twist. Having been swept into the tunes as an unsuspecting youngster, Ado has earned a reputation as one of the finest Irish fiddle players Australia has produced. In recent years Ado has made something of a second home in Ennis, Co. Clare, and his time in Ireland has given him the opportunity to soak in the music of some sublime traditional musicians. An accomplished performer, and the winner of the inaugural Chris Wendt award at the National Folk Festival in 1998, he is never more at home than in the thick of a lively session. He is also an experienced teacher of traditional music, and has taught extended workshops at events such as Ceol Aneas in New Zealand, the Easter School at the National Folk Festival and at the Turning Wave Irish festival. 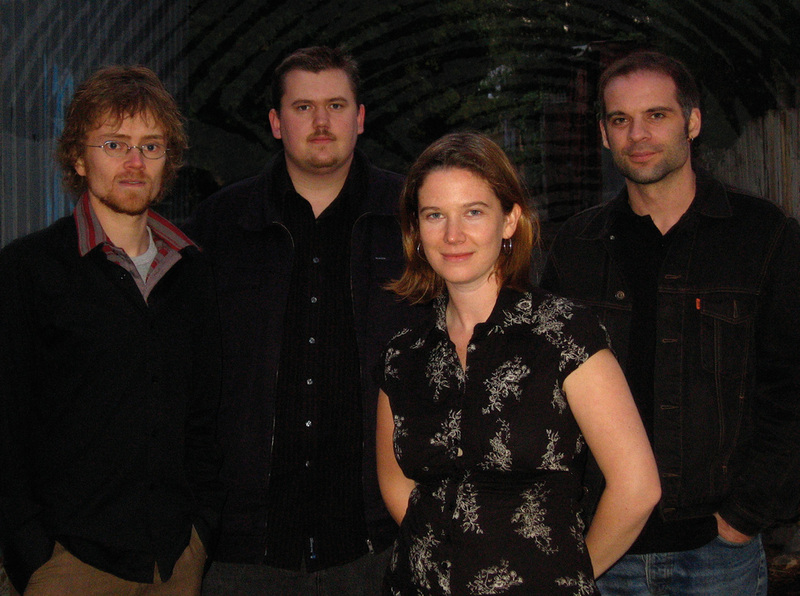 Along with co-conspirator Benno Stephenson, he was joint recipient of the National Library of Australia Folk Fellowship, the product of which was their award-winning album Undertones: Irish music from Australia. Kate is an exquisite singer and a powerful and imaginative guitarist, and provides much of the backbone to Trouble’s distinctive sound. Vocal duo Kate Burke & Ruth Hazleton have also recorded a number of successful albums and regularly tour the UK and Ireland, occasionally with legendary Irish singer Andy Irvine. Kate is in demand as a session guitarist and album producer, and has performed music for film and television. She has a passion for community music, and is the director of the Bega Valley Children's Choir. An award-winning and highly-accomplished songwriter, Kate's songs have been performed and recorded by such artists as Muireann nic Amhlaoibh (Danu) and Tolka. After humble beginnings bashing away at an old bodhrán he found in his Mum’s garage, Benno has risen to become one of Australia’s most sought-after Irish musicians. He is much in demand as a recording artist and has been a featured soloist on various film & television projects, including the major hollywood movie Australia. In 2000 he won the Declan Affley memorial award for excellence in a young performer at the National Folk Festival in Canberra, which paid for his much-cherished Grinter flute. Benno has also spent time living in Ireland, where he was particularly influenced by the playing of such flute legends as John Kelly & Kevin Ryan. An extraordinarily versatile musician, Benno has more recently gained a fierce reputation as one of Australia's top guitar-backers for Irish music, and has toured with the legendary Irish piper Paddy Keenan. Joe has been playing Irish music since 1991 and has been an integral member of a number of Australian Irish trad bands (the Tinkers, Reels on Wheels) prior to joining Trouble in the Kitchen. Over time this he has built an international reputation for his subtle, driving and intricate bouzouki accompaniment style. Joe has worked extensively as a music producer & recording engineer, and is in high demand as a live sound engineer. He has done the live sound for many international acts such as Andy Irvine & Paul Brady, Andy Irvine's Mozaik, Flook, Beoga, Lunasa, Shooglenifty, Felpeyu & Grada; and has spent an extended period as the live sound operator for the internationally renowned Circus Oz. Over the years Joe has also engineered many highly-acclaimed CD's, for such acts as Andy Irvine’s Mozaik, Circus Oz, the Perch Creek Family Jugband, Kate Burke & Ruth Hazleton, Tolka, the Fagans, the Tinkers & Trouble in the Kitchen amongst many others.